The Ironman 70.3 Triathlon was held on 24 January in East London. This triathlon is definitely not for the fainthearted as it consists of a 1.9 km swim, a 90 km bicycle ride and a 22 km run, all without a break. 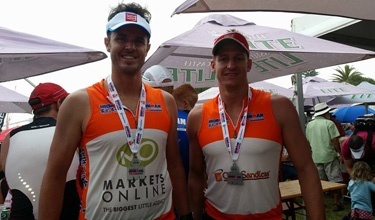 Not only did our MD, Luke Marthinusen, complete the Ironman 70.3 this year, but he competed under the Markets Online banner supporting the Ironman 4 the Kidz foundation. The Ironman 4 the Kidz Charity Trust was established in 2005 by ex Springbok Garth Wright and business partner Gary Stephenson, who together with a team of Trustees, are striving to make a difference for the kids in need. The Charity is a registered NPO and offers support to 15 childrens charities in South Africa. In 2014 with amazing sponsors, athletes and the public, they managed to raise R2.1 million, for the kids they assist and they are striving to beat that total in 2015. By 26 January 2015 they had already raised and donated R 475 000.00 to the children beneficiaries in the East London region, a fantastic start to 2015! Well done, Luke! 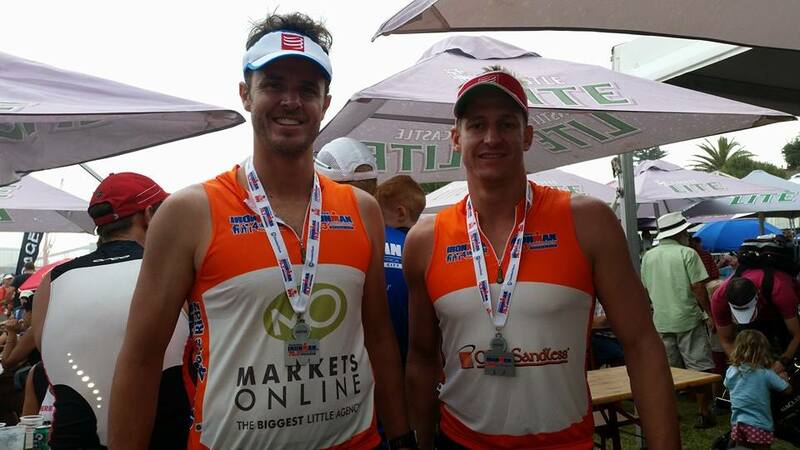 You have not only made us proud, but you have assisted to make South Africa a better place, one triathlon at a time!